What’s the best GPS tracking service? We’ve created a list of the six best GPS tracking services for fleets. We took a long list of providers and whittled it down by analyzing each vendor based on ease of use, customer support, tracking abilities, reporting functionality, and more. We also looked for tools that allowed for an easy on-boarding experience. First, we started our research by compiling a list of around 100 of the industries recommended GPS tracking services. Our sources included reputable review sites, vendor sites, business websites, and feedback from fleet managers themselves. To narrow our list down, we started looking at different features such as reporting and tracking. Any provider that didn’t meet our minimum tracking requirements was immediately taken off the list. After talking to fleet managers, we considered reporting and tracking functionality to be the most important feature. From there we scheduled software demos to evaluate ease of use, customer service experience and more. We’ve created a detailed matrix of our findings. *Scored on a 1-5 scale, with 5 being the best. *Value is defined as usefulness of a provider in relation to price point. A provider with a high value, is useful and at a fair price. Fleetistics is a high-quality GPS provider designed for enterprise class fleets, but simple enough for small fleets. It’s used by 1-vehicle fleets all the way to fleets with over 80,000 vehicles. The comprehensive software is full of features you can use at your convenience buy upgrading or downgrading to the level of service that meets your needs. 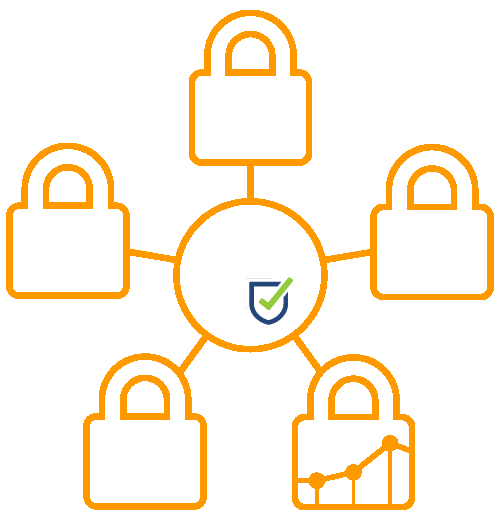 It’s robust customization, open API, and price makes Fleetistics the best GPS tracking service for any fleet. Excellent support and online self-paced courses makes learning the software easier. Fleetistics made it to our number one spot mostly because of their customer service and support. They have three different plans — each with different features (Base, ELD, Pro, ProPlus). Plus, their service plans can be set for specific vehicles to maximize features and reduce costs. These plans are built so that you get the solution that the best fit for your business. Other companies we dealt with had a “one-size-fits-all” mindset. There wasn’t really anything negative about Fleetistics, but a few points to be aware of. The overall runner-up, RHINO, made our list because of their flexibility and month-to-month contract option. Unfortunately, they seem to be missing some of the features that are standard in other GPS tracking devices. They’re a great option for first-timers and small businesses who want to minimize their risks, test the waters with GPS tracking, or have large fluctuations caused by seasonality. For example, if you’re a local plumber who wants little risk and to test the benefits of a GPS tracking software, RHINO might be a great option. On the other hand, if you’re trying to track a large logistics fleet, there are much better options on the market. As mentioned, RHINO allows for month-to-month contracts. They were one of the few companies that we analyzed and the only one on our top six list to offer this flexible contract. Like Fleetistics, RHINO doesn’t require a minimum number of units. During the sales process, I dealt with only one sales consultant. With different companies like Fleetmatics, I was handed off to three different people — one when I requested demo, another to schedule and find needs, and another to do the demo. Aside from the flexible contracts, cheap pricing, and personal touch, I couldn’t find anything that was great about RHINO. The functionality and usability of the software was below average. For example, RHINO won’t tell you if drivers are wearing their seatbelts. You can assign drivers to a vehicle, but it has to be done manually. As a result, it’s nearly impossible to keep track of a driver’s metrics. The biggest negative is that RHINO doesn’t make their own hardware. This leads to poor integration options and development. They aren’t in charge of the R&D of their products. Overall, ATTI is a great company. They ranked about third in every category. They weren’t really number one, but they are a solid company. They seem to be moderate. They don’t have exceptional features, but don’t have many bugs. Their maps are updated more frequently, which means you’re planning routes on reliable maps. If new roads are built, you will be able to know about them. They have good customer service and an excellent FAQ page. Setting up a demo was easy. It had the third highest tracking functionality. No engine fault codes. Start up is $29.95 per unit, which can be a hit if you have a large fleet. Reporting usability isn’t as extensive as other options we explored. Verizon Connect has great functionality and a ton of features. Unfortunately, the costs are much higher than other providers. NetworkFleet was right up there with Fleetistics, but fell to the bottom because of the high costs and headache of dealing with a mega-corporation. This company has exceptional customer service. They have all of the systems and support in place to ensure your call is answered on time. They are pretty easy to get a hold of, but like any mega-corporation, sometimes you are pushed off to multiple people before someone can help. The price for Verizon NetworkFleet is high. It’s about 15-20% higher than many of the services that we reviewed. This would be fine if they were providing 15-20% more value. But you’re going to get the same features at a cheaper price when you pick Fleetistics. Since you have to move through so many channels with this mega-corporation, getting anything custom done is difficult. And forget about integrating the solution with third-parties. It’s an expensive and complicated process. Owned by Verizon, Fleetmatics has great reporting and tracking functionality, but they took a hit with their strict contract requirements and minimum fleet requirement. I tried to negotiate either of those down, but it wasn’t possible. Overall, it was a clunky process which made me unsure about signing any long-term agreement or seeing them as long-term partners. The featured I liked the most was the ability to track a driver by using a key fob. You can track drivers even if they’re changing vehicles. This is great for companies like electricians or other service providers where a driver may be switching vehicles. It doesn’t report engine fault codes. It cannot tell you if drivers are wearing their seatbelts. The equipment requires professional installation. You have to select one of their approved vendors to come and install your units. The cost is $125 for installation per unit and there is a $46 a month service charge. The sales service representative I spoke to wanted to close the deal or something so told me he would waive the installation fee and drop the service fee to $37 — without me even asking. This worried me a little bit as it sounded more like they were worried about closing the sale. I also had to speak with three different people by the time I was done. I had to explain my situation and what I was looking for. At the end of the day, I felt like Fleetmatics didn’t understand my problems and needs. Instead, they were pushing a specific service down my throat — no matter how many times I asked about plug-in devices (which he said they offer) but created a contract for install devices. Recently bought by Verizon, this company had one of the worst service experiences. They require a 36-month contract with a five vehicle minimum. They only made our list because of their extensive reporting and functionality options. Not much to say. Their overall platform is pretty powerful and full of features. It works great for companies who need to manage large fleets. It’s built for logistics companies who need to track more than 5 vehicles. I made three different attempts to get a demo from Telogis. Unfortunately, it never happened. I submitted a contact form, emailed support personally, and called their main number. I was told someone would contact me to schedule a demo. Never happened. With Telogis, you have to sign a 36 month contract. The hardware doesn’t “cost” you. Instead, you lease the equipment which results in a higher monthly service fee ($40/month). At the end of your contract, you have to return all devices. Interested in learning more about what GPS tracking device works best for you?